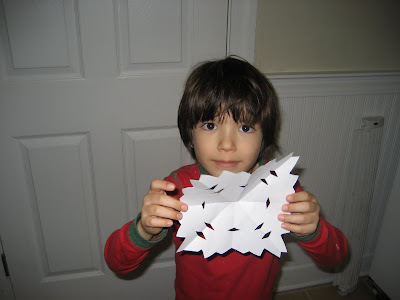 Language for Little Learners | Making snowflakes, using French! We are getting back in the swing of homeschooling today. 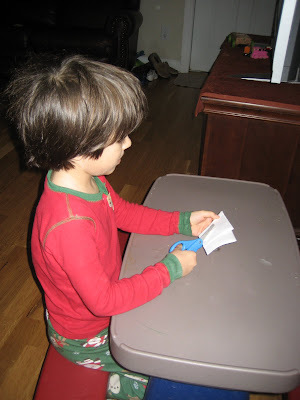 The first thing we did was we cut out a few snowflakes and with every snip of the scissors we counted in French. There isn’t much snow here in South Carolina, so the kids really enjoyed this exercise. You can take this to different levels by using the verb to cut – “couper”. Afterwards, you can hang up all of the snowflakes on the walls or better yet, hang them from the ceiling! ← Happy New Year! Starting out the New Year Learning French!